Let’s Celebrate With Amazing Magical Fun! I have done my share of school magic shows. 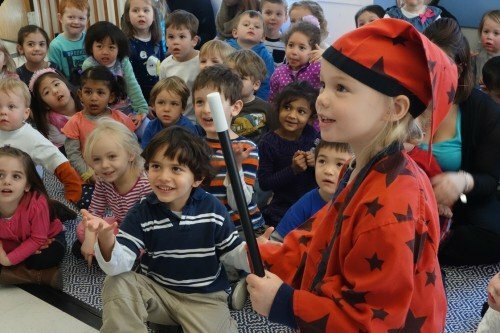 In fact, with over 2000 kids shows in the past 20 years, I can say that I’m one of the few Scotland magicians who specializes in both educational and fun preschool programmes for kids. My Let's Celebrate show is a 45 minute roller-coaster ride of magical fun that is perfect for open houses, reward assemblies, enrichment programmes, or even just a special treat for your primary pupils. I know your kids will love the show. So much so, that I offer a 100% Satisfaction Money Back Guarantee on all my programmes. 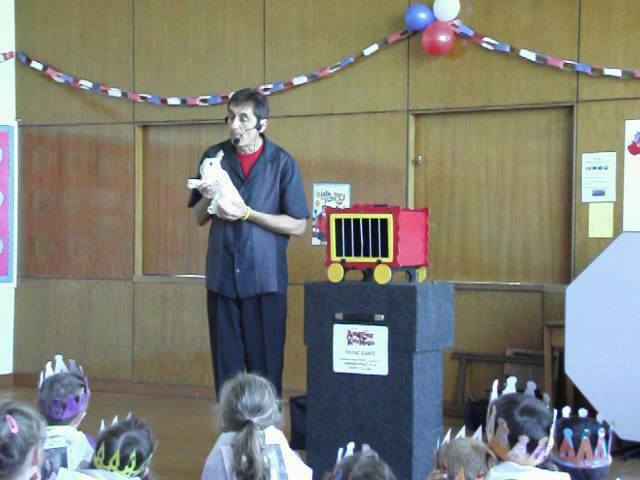 Franc, the children absolutely LOVED your show and the parents complimented at how GREAT you were! Having all the kids pat the bunny was so wonderful. We took loads of great photos and we look forward to having you back again soon! Thanks for making our family night amazing!!! Featuring the Adorable... Benny the Bunny! Pizza (not real) disappears and reappears in this hysterical opener to the show. Magic wands break, fall apart, etc.. This is one of the parts of the show the kids laugh the most. One of your children will become a mini Harry Potter, complete with wizards costume (see photo) and perform their very own amazing magic trick! The big finale - I mentioned Benny the bunny. This is kids favourite part of the show and they all will have a chance to pat/stroke Benny! Click here to go back and claim your discount.